No home is an island. Well, no home with running water is. If you live in Southern Ontario, your municipality has constructed a complicated system that supplies potable water and removes waste water from your home. It’s an intricate system that relies on your home’s individual, indoor pipes and the city’s outdoors lines. This gives and taken means the quality of your municipality’s infrastructure has a huge impact on the health of your plumbing and drainage system. Since so much of their pipes are located outdoors, the particular climate and geography of Southern Ontario can also affect your plumbing. Today we’re going to address the most common plumbing issues that affect homes in your area. Southern Ontario is home to a large variety of tree species. You probably chose to live in your neighborhood for the towering American Elm, Red Maple, or Black Ash that line your block. But what makes your street beautiful has a darker underbelly. Deep below the surface of the street, trees have a huge substructure of roots. As they grow through the soil, they’re constantly on the lookout for moisture, and they’ll stop at nothing to find it – including the metal or PVC of your sewer or drain lines. If there’s even a hairline crack in any of these lines, tree roots will locate it and work their way inside. These lines provide the perfect conditions for growth, and eventually what was just a single exploratory root develops into a network of roots that completely clogs the pipe. When a pipe is completely sealed off by roots, the section needs to be cleaned or replaced entirely. Since escaping the winter that wouldn’t stop, you need no reminding that the Golden Horseshoe undergoes a deep freeze for almost half of the year. Contrary to what the rest of the country thinks, Southern Ontario gets its fair share of snow and sub-zero temperatures. When the mercury dips below zero, there’s a chance that your pipes can freeze. Depending on which pipe is frozen, this can stop your plumbing system in its tracks. It gets worse, however. When water freezes it expands. If there’s enough water in your pipes at the time it freezes, it can burst the pipe, causing anything from a slight crack or a huge split. Sometimes it isn’t the natural world that puts your home at risk, but a man-made one. There are pockets of the Golden Horseshoe that are incredibly old, dating back to the 1800s. Most of the homes, however, are recently new builds. Farmland and empty landscapes are filling up with new subdivisions every year to accommodate the rapid growth in population. While the brand new homes can keep up with the rise in population, a city’s infrastructure or drainage system isn’t always up to the job. If it’s a particularly old system that was installed well before anyone knew of how populous the area would be, it can have trouble trying to handle the number of homes. Whether you encounter problems with your drains lines, frozen pipes, or tree roots, we’re here to help. Our licensed and qualified emergency plumbers are expertly trained to identify and fix the common issues affecting plumbing and drainage systems in Southern Ontario. Through regular preventative maintenance inspection, our plumbers can also suggest helpful advice on how to prevent these issues from ever causing an emergency in the first place. 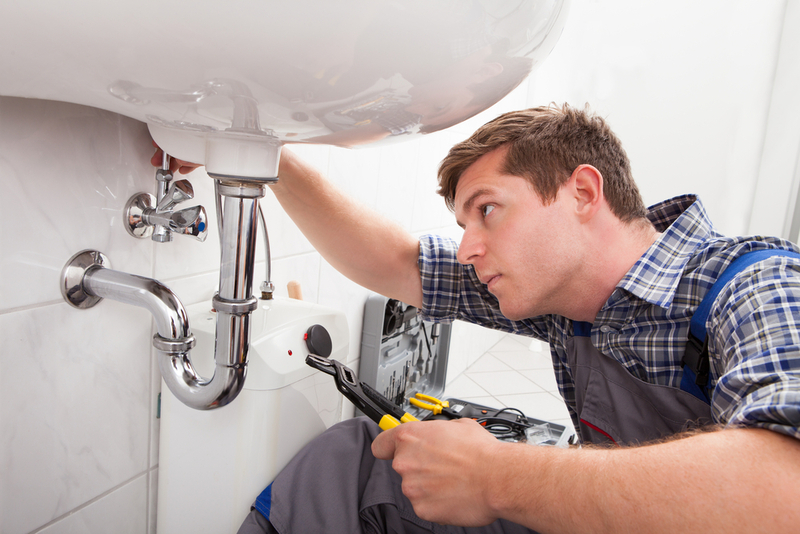 Whether it’s friendly advice or midnight emergency, our plumbers are ready to help. You only need to pick up the phone!